Jazz Choreography Enterprises is proud to sponsor a class in Latin Jazz taught by Teresa Perez Ceccon on November 6th. All proceeds of the class will be donated to Hispanic Federation (hispanicfederation.org) for the UNIDOS Disaster Relief & Recovery Program to support Puerto Rico. Teresa (Te) Perez Ceccon has been a dance teacher and artist in New York City for over 20 years. A native New Yorker, Te earned a BA in Theater/Dance from Queens College. She has danced works by a variety of highly regarded choreographers as well as her own, and has performed in many New York City venues with several independent dance companies. 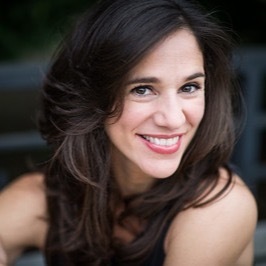 As a protege of master teacher Lynn Simonson, she is a seasoned educator of the Simonson technique working in NYC studios and colleges, including Gina Gibney Dance Center and Manhattanville College in Purchase, NY. She also runs workshops in Europe, Canada and South America. Latin Jazz is one of the core influences in the Simonson technique and Te, drawing on her Puerto Rican heritage, specializes in the style. Come share the experience while raising money for people in great need. Registration before November 6th is strongly suggested, but students can register at the door if space is available. Students (or a parent if the student is under 18 years old) will be required to sign a release of liability. For more information, contact Marian Hyun at Marian@jazzchoreography.com. Jazz Choreography Enterprises, Inc. provides classes in significant jazz techniques as part of our mission to bring different styles of jazz dance to the public and help keep jazz alive by teaching a new generation of students. If you’re interested in learning about future classes and events hosted by JCE, please sign up for our newsletter or follow us on social media.